This week has my focus on gathering the pieces together in preparation for the next upcoming event for the Business Growth Series on April 25th. The topic takes on sales and marketing for the woman business owner, probably the most common challenge so many face. And, this is the first time in 4 years that we have a male presenter, Scott Harkey, co-owner of OH Agency. Scott has climbed to the peak of Mt. Kilimanjaro so I already know he's got the courage and conviction to blaze new trails in front of a room full of women business who want to know climb those mountains, too!! Are you ready to learn sales and marketing for your business? Save the date! You're on my list so you will be the first to know when tickets go on sale. Space is limited. This week I'm loving this book: Wisdom at Work: The Making of a Modern Elder by Chip Conley! Chip was the king of the hospitality industry when he owned many boutique hotels known for 'beyond' customer service. After 2008, he moved on and it wasn't long before AirBNB added him to their team. Putting the technology brilliance of millennials with the genius of wisdom, guidance, and direction of a Modern Elder has been a winning combo for AirBNB and many other companies. This is a must read to get the best of both worlds working together! Our children are grown. We sold our company. And today we live an urban lifestyle in an old historical home in downtown Phoenix. We walk to theater, museums, concerts, we use the light rail and walk everywhere we go, especially enjoying small owner/operated restaurants like Forno 301. When we go there, we remember our many days in Italy. The ambiance, the service, and especially the food, leave smiles on our faces all the way home. This is the real deal kind of restaurant...Italian at its best! Always leave your customer smiling and feeling like you added value to their life. 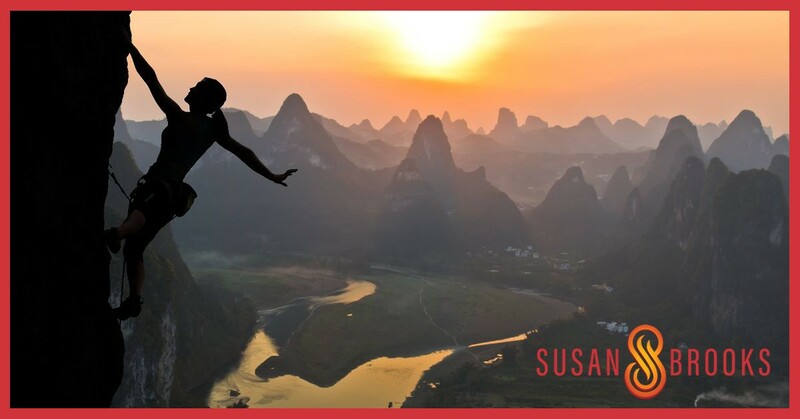 One of my private clients shared this feedback with me after a recent session: "Thanks to you, Susan, I am this week very aware of my negative self talk. I did not realize it was at such a critical level until I heard you repeat back to me what I said. I thank you SO MUCH for that!" Often, we are not aware of our own language. The scarcity, the fear, the overwhelm creeps into our thoughts and inevitably runs us, without our even knowing. This bad habit can change in an instant once we choose to be aware of it! Sometimes, it's just that simple. Commit right now - no more negative self talk in 2019! Are you ready to think strong and positive thoughts about yourself so that you can bring more success into your life? Schedule a 2 Hour Strategy Session today!